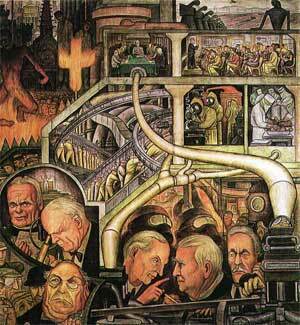 The Industrial Revolution opened an era of permanent revolution. The late modern socio-political order is constantly changing, never settling into any stable pattern. The pillars of human order—most notably, the family and the intimate community—are crumbling around us. How do humans deal with the resulting vacuum and chaos? How do society and politics function without stability? Is the world becoming more violent and dangerous, or is it actually more peaceful and secure than ever before? In this week’s lecture form Dr Harari of the Hebrew University of Jerusalem we look at changes in communities and families and how those changes came about. The following are my lecture notes created using the subtitles from the Coursera videos. We have seen that the industrial revolution gave human kind control of enormous sources of energy and of raw materials. This liberated humankind from its dependence on the surrounding ecosystem. Humans were able to cut down forests and jungles, to drain swamps, to damn rivers, to flood plains, to lay down tens of thousands of kilometers of roads and railway tracks and to build new and giant cities. As the world was moulded to fit better the needs and whims of Homo sapiens so, habitats were destroyed and animal and plant species went extinct. Today, the continents of the earth are home to almost seven billion sapiens. If you took all these people and put them together on a very large scale, their combined mass would be about 300 million tons. If you now took all our domesticated farmyard animals, cows and pigs and chickens and so forth, and placed them on a very big scale their mass would be about 700 million tons. In contrast, if you now take all the surviving big wild animals of the planet penguins and ostriches, and lions, and crocodiles, and whales, and dolphins, and so forth, and put all of them on a very big scale, nobody knows exactly how much they would weigh together, but it is estimated to be less than 100 million tons. Less than 10% of the big animals of the world, oceans and continents together today are wild animals. The vast majority are us Homo sapiens and are domesticated and enslaved farmyard animals. Our children’s books, our TV screens, our films, they’re still full of giraffes and wolves and chimpanzees and elephants and lions and so forth. But the real word has very few of them left. 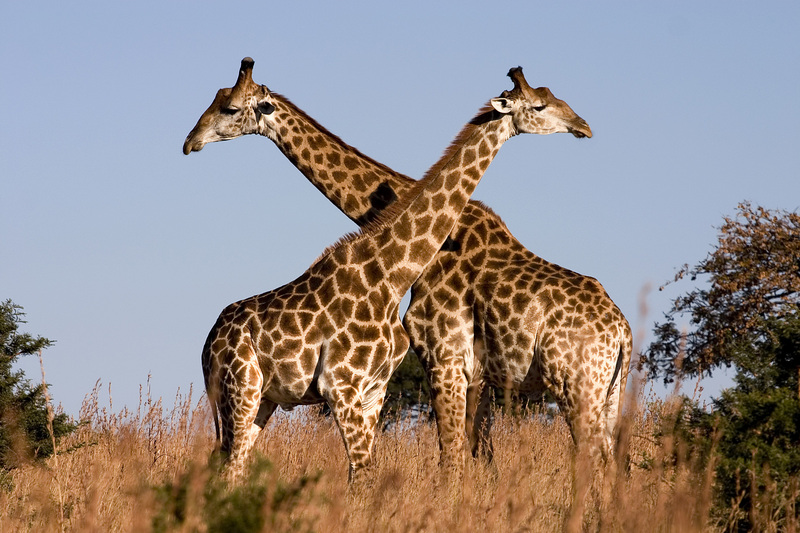 There are for example just about 80,000 giraffes left in the world compared to 1.5 billion domesticated cattle. There are only 200,000 grey wolves remaining in the world compared to 400 million domesticated dogs. There are only 250,000 chimpanzees compared there’s about 7 billion Homo sapiens. So, it’s clear that we sapiens have taken over the world and we today control it. We should note however the difference between this kind of ecological destruction which we are causing the natural habitats and the wild plants and animals around us and the problem of resource scarcity. Previously we looked at how the resources available to human kind are increasing all the time and they’re likely to continue doing so. Doomsday prophecies about humanity running out of resources and energy are probably incorrect. In contrast the fear of ecological destruction, that humankind is destroying the ecosystem around it is far more justified. In the not so distant future, we may have enormous resources at our disposal but simultaneously most of the natural habitats of the world will be ruined and most of the species of animals, and plants, and so forth will become extinct. The destruction of habitats and species might endanger even the survival of Homo sapiens despite all the resources and energy that we acquire. Processes such as global warming, the rising oceans and the wide spread of pollution of air, water and earth could turn our planet into a far less hospitable place for our kind. The future might, consequently, see a race between human power and human caused natural disasters. As humans use their power to control the forces of nature and to change the ecosystem to fit our needs and our whims we might be causing more and more unanticipated and dangerous side effects like global warning. Nobody wanted this, it just happened as a side effect from all the things that we do. In order to stop these side effects we will have to take even more drastic action. We will have to make even more drastic manipulations of the ecosystem and this could result in an even worse case. Many call this the destruction of nature, but, to put things more correctly, it’s not really the destruction of nature, it’s change. Nature as such cannot be destroyed, it can be changed. Species can become extinct. Habitats can become totally different. 65 million years ago, an asteroid from outer space hit earth and wiped out the dinosaur, completely changing the ecosystem and opening the way forward for mammals. Today, humankind is doing something similar. It is changing the ecosystem. It is driving many species to extinction and might annihilate itself. However, there are organisms that are having a good time out of all these changes. Rats and cockroaches for example are having a great time today. Perhaps rats will flourish more and more and evolve to become super intelligent powerful rats, and 65 million in the future control Planet Earth. They would look back gratefully on the destruction caused by humankind that opened the way for the rats to take over the planet. Just as today, we think about that asteroid that destroyed the dinosaurs as something good. At present, it’s far too early to speak about the extinction of Homo sapiens. Over the last 200 years, the human population has only been growing and growing as never before. In the year 1700 before the beginning of the Industrial Revolution, Planet Earth was home to about 700 million humans by the year 1900 there were 1.5 billion human. 2000 there were 6 billion humans and today we are nearing 7 billion. So far we are not becoming extinct. We are becoming more and more numerable. While sapiens have grown increasingly free from the forces of nature we are becoming increasingly subject to new forces, to the forces of modern industry and government. We care less about nature and the cycles of rain, sun, summer, winter but government and industry have much more power than ever before to change us. The industrial revolution opened the way to a long line of changes and experiments in social engineering and also to a long series of unpremeditated changes in the daily life of humans and in human mentality. Changes that nobody wanted or predicted they simply happened. One of many examples of what happened over the last 200 years was the replacement of the rhythms of traditional agriculture with the uniform and precise schedule of industry. Traditional agriculture depended on cycles of natural time and cycles of organic growth. Most societies did not have clocks and exact timetables. What they cared about is the natural cycles of day and night, the movement of the sun and the natural cycle of the seasons and the growing of the plants. For most of history there was no such thing as a uniform working day, that you do the same thing every day all year around. 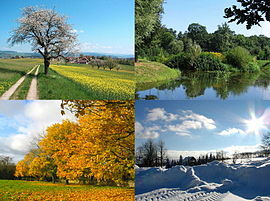 The routines of humans change quite drastically from one season to another season. People knew and cared about the sun, where the sun was in the sky, they watched for the signs of the changing of the seasons. But people did not care about the hour or about the year. They didn’t know what hour it was or what year it was. In contrast modern industry cares far less about the sun and the seasons and far more about precise and uniform schedules that don’t change between one season and the next. To understand why, consider the way in which a Medieval Workshop functioned compared with the modern factory. In Medieval Workshop, each shoemaker made the entire shoe from the sole to the buckle. If a shoemaker was late for work he did not stall the work of other shoemakers. However, in a modern shoe factory, in a modern assembly line of shoes, every worker does only a very small part of the process of producing the shoe. If a worker, who operates say, machine number five out of 20 machines, has overslept, all the other workers are also slowed down or stopped. In order to prevent such problems, everybody in a modern industrial factory must work according to the same precise timetable. The industrial revolution turned the timetable and the assembly line into the basis for industrial production, and virtually all other human activity, because other human activities began to copy and to adjust to the techniques of the factory. Shortly after factories began to impose strict timetables on human behaviour, schools also adopted timetables. People imported industrial methods of production to schools, which were thought about as factories for producing knowledge and factories for producing workers. People said young children have to get used to working and living according to schedule because this is what they’ll have to do as adults, so we have to get them used to it as children. The same logic entered hospitals, prisons, shops and other aspects of modern life all run according to precise schedules. A crucial link in this spreading of the timetable was public transportation. If workers need to go to get to the factory and start their shift exactly 8 o’clock sharp in the morning, then the train or the bus must reach the gate of the factory at least five minutes earlier, at 7:55 in the morning. Even a few minutes delay would result in some workers being late for work, production will be lower and perhaps the workers will be fired because they’re late. One of the things that happened was the appearance of precise timetables in transportation, which was never the case before. The first such timetable in British history was published in 1784. 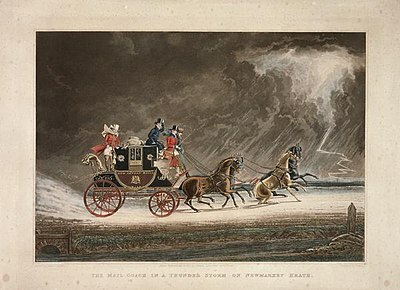 It was the timetable of a carriage service that connected different cities in Britain. It specified only the hour of departure, not the hour of arrival, probably because nobody could tell how long it would take a horse and carriage to go from London to say, Birmingham. More importantly, because each city and town in Britain of those days like in the rest of the world, had its own local time. The local time in Liverpool or Glasgow could be different from the time in London by up to half an hour. For example when it was 12 o’clock in London it was perhaps 12:20 in Liverpool and 11:50 in Canterbury or vice versa. Since there were no telephones, radios, televisions and no fast trains and cars, nobody could know that there was a difference between the time in London and Liverpool, and nobody cared. When trains began to connect the different cities of Britain, and when there were timetables it became a problem. Royal Observatory Greenwich © Science Photo Library/Photo Researchers, Inc. So in 1847, British train companies met together for a conference, and they agreed that from that moment onwards, all timetables of all trains would be given according to the time in the Greenwich Observatory near London. In the following years, more and more institutions began to follow the lead of the train companies, adopting Greenwich time, until finally, in the year 1880, the British government took an unprecedented step in the history of humankind, and legislated that all timetables in Britain must follow the single time of Greenwich. It was the first time in history that an entire country adopted a national time and obliged its population to live according to an artificial clock, and not according to the local clock of sunrise and sunset cycles. From this modest beginning was created a global network of timetables synchronizing all the activities of humans around the world, down to the tiniest fractions of a second. In order to make sure that everybody followed the same timetable, cheap but precise portable clocks became ubiquitous. In ancient cities, there were hardly any clocks at all. In Medieval European cities, there was usually just a single clock in, in the whole city. It was a giant mechanical clock mounted on the top of the high tower usually in the square of the town. These tower clocks were notoriously inaccurate, but since there were no other clocks in town to contradict them it hardly made a difference that they were not accurate. Today, a single family generally has at its disposal more clocks at home than an entire Medieval country. People have clocks, watches, the time on their cellular phones, alarm clocks, next to their beds, clocks on the walls, in the kitchen, in the living room. It’s almost impossible to look anywhere in a modern house, and not see a clock. The typical person consults these clocks several dozen, or even several hundreds, times each day. 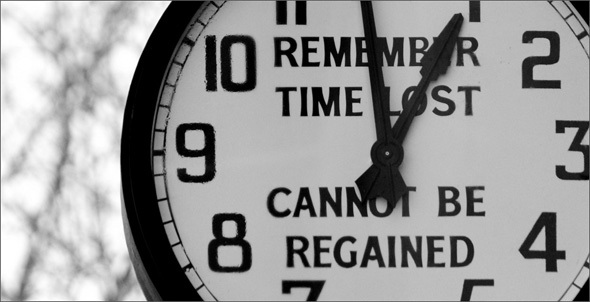 Almost everything we do, we do according to these precise timetables. Many people wake up in the morning, not when they want to wake up and not when the sun comes up but when an alarm clock wakes them up. Then, they need to eat something so, they take a precooked breakfast from the freezer and defrost it in the microwave for exactly 50 seconds on the clock on the microwave. Then, they go to brush their teeth, and many people today have electronic toothbrushes that you brush for three minutes and then the toothbrush beeps to let you know that the three minutes has passed. Their train leaves exactly at 7:40 in the morning from the station after work they go to the gym for an hour, running until a beeper announces that exactly an hour is over. Their favourite show starts at 7.00, every five or seven minutes the show is interrupted by the commercials that cost 1000 dollars a second and which are inserted at a precise moment. Our entire day is run according to this precise timetable. Even when we go to meet our psychologist or therapist to complain about all the pressure in our lives, the usual therapy session lasts exactly 45 minutes. After 44 minutes and 50 seconds, the therapist, even if we are in the middle of the most exciting story about our mother, he or she will say, that’s it we are running out of time, let’s continue this in the next session. This is one amongst many revolutions in daily life and human mentality which were brought about by the Industrial Revolution. The most important upheaval brought about by the Industrial Revolution is the collapse of the family and the intimate community and their replacement by the state and the market as the main controllers of human life. To the best of our knowledge, from earliest times, more than million years ago, humans always lived in small, intimate communities, most of whose members were related to one another by family ties. The cognitive revolution 70,000 years ago and the agricultural revolution did not change that. They glued together families and communities to create tribes, cities, kingdoms, and empires. But all these mergers did not break up families and communities which continued to be the basic building bricks of all human societies. You could live in a city, or empire, or kingdom but still the basic structure, the basic unit of life was the family or the local community. The Industrial Revolution, on the other hand, managed, within little more than two centuries, to break these building blocks into atoms, into individuals. Most of the traditional functions of families and communities were handed over during the last two centuries to the state or to the market. was poor and did not own a farm or a workshop, you worked for your neighbours or somebody in your community. The family was not only the main provider of work, it was also the welfare system, the health system. If you fell sick, the family took care of you. if you grew old, the family supported you. Your children were the only pension fund you could, you could have. If you died young and left young children behind you, then the family took care of the orphans. If you wanted to build a house, then you went to your cousins and uncles to ask for help in building the house. If you wanted to open a business, then the family provided you with the necessary knowledge and money to open the business. If you wanted to get married, and even if you didn’t want to get married, the family chose for you or at least vetted your perspective husband or wife. If you came into conflict with somebody there were no police usually to handle matters. You had to rely on help from your family and if the conflict was too severe or if there was some other problem which the family could not handle by itself then the local community was the one that came to the rescue to try to solve the problem, not the king or the emperor. The community offered people help on the basis of local traditions, and an economy of favours which was very different from the laws of supply and demand that govern the free markets of today. 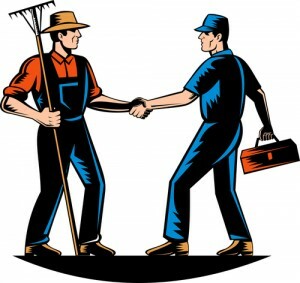 For example, in an old-fashioned medieval community if your neighbour needed somebody to look after his sheep or wanted to build a house and needed help, he would come to you and ask for your help, and you would help him. After some time, when you needed his help, then the neighbour helped you without any kind of money exchanging the places between you. The local noblemen might have drafted all of you and your neighbours in the village to construct his castle without paying you a single coin. In exchange, you counted on these noblemen to defend you against brigands, and robbers, and barbarians. So again, it wasn’t like a free market with supply and demand and money and so forth, it was a very different kind of economy. Village life involved many transactions but very few payments. You did not pay for most of the things that you needed, you did not buy most of these things. There were some markets in the modern sense of the word places where you could go and buy stuff from people you didn’t know, but very few items were bought in such places. Most things that people needed for their lives they manufactured themselves or they got from neighbours and family members and friends. In markets, you bought perhaps just 10% of your needs, rare spices and clothes, tools and the services of lawyers and doctors and so forth. There were larger systems of kingdoms and empires and so forth that performed important tasks like waging wars, building roads, and constructing palaces and cathedrals. For these purposes, the kings taxed the citizens and enlisted soldiers and labourers. However, with very few exceptions, most of the kings and emperors so on did not intervene in the daily life of families and communities. Even if they wanted to decide how you should live your life, most kings could not do so. In traditional agricultural economies there were very few surpluses with which to feed crowds of government officials, policemen, teachers, and doctors, and social workers, and other government employees. Consequently, most rulers simply did not have the ability to develop mass welfare systems, mass healthcare systems, educational systems, school, nurseries, hospitals, and so forth. They left all these matters in the hands of families and communities. Very often kings lacked not only the money but also the transportation and communication infrastructure. Without which it was impossible to intervene in the affairs of remote communities. Many kings, many rulers preferred to give up even the most basic royal prerogative functions such as taxation and violence and to allow local communities to manage taxation and violence by themselves. For example, in the Ottoman Empire 200 years ago, family vendettas were used in order to provide justice and law and order instead of maintaining a huge police force and imperial courts. If your cousin for example murdered somebody, then the family of the murdered person could murder you in retaliation. The logic was that because people knew it, then each family would take care to control its own members. There was cause for the families to control the members and keep violence level down. The Chinese Ming Empire that ruled between the 14th and 17th century in China. The population was organized into what was called the Baojia system. Every ten families were grouped together to form a group called Jia and every ten Jia constituted a Bow. When a member of a Bow committed a crime, other Bow members could be punished for it. In particular the Bow elders and give this, gave this collective punishment, gave them incentive to look after what people in the community were doing and to prevent them breaking the law. Similarly, taxation, taxes were levied on the Bow not on individuals.The emperor, would impose a tax and it was the responsibility of the Bow elders to assess the economic situation of each family and determine how much tax each Jai and each family could pay. What today is done by state officials, in Imperial China was done by the local elders and the leaders of the family. Many kingdoms and empires were, therefore seen as no more than a large protection racket like the mafia today. The local mafia takes protection money in return for a promise that they won’t kill you and they will protect you from the mafia of the next neighbourhood. This was exactly is what kings and emperors throughout history provided. They did not provide education and health and welfare and all the other things which we today expect from the government to do. Life was controlled by families and communities more than by states and markets. It wasn’t always good news, families and communities could oppress their members no less brutally than modern states and modern markets. The internal dynamics were often full of tension and violence, but there was really no other choice. No one could not live outside a family or a community. A person who for any reason lost her family or her community, 300 years ago, was as good as dead. If you had no family, or community, you had no job, no education, nobody to care of you if you needed money or became ill, or needed protection. All these things were done by the families and communities. There were very few, if any, policeman, social workers, state schools and compulsory education. In order you, to survive you had to quickly find yourself an alternative family or an alternative community. Boys and girls who ran away from home could hope at best, to become servants in some new home, some new family. If nobody would take them, boys and girls left out of the family protection had only two places to go to. They could join the army or become prostitutes and join a brothel. There was no social network of the State to look after them. All this changed dramatically over the last two centuries since the beginning of the Industrial Revolution. The Industrial Revolution gave the market immense new powers, and it provided the state with new means of communication and transportation. Like the radio and television and the railroad and so forth. All the wealth created by the Industrial Revolution enabled governments to start employing an army. Not just of soldiers but also an army of teachers, policemen, social workers, tax collectors and other government employees. When the market and the state tried to use the growing powers, they discovered that their attempts to start controlling the lives of people were blocked by the power of the families and the communities. When the state and the market became stronger the family elders and the leaders of the communities did not like this new outside intervention from the police and from the school system, and from the government and the market. Parents and community elders were reluctant to let the younger generation to be indoctrinated by nationalist education in the schools of the state. Similarly they didn’t like the idea of giving their children away to be conscripted into armies nor the idea of the younger generation leaving the village and migrating to the city to become urban workers. In order to overcome these obstacles, the state and the market tried to weaken the traditional bonds of family and community. For example, the state sent law enforcement officers, policeman to control family vendettas and to stop family and community violence. Similarly, the market started intervening in the affairs of families and communities and to convince people to follow the fashions of the market not the traditions of their family, or their village or their tribe. This was difficult, because the family in the community were very strong. In order to really break the power of the family and the community, the state and the market needed somebody from inside to help them. They needed somebody from inside the family to work against the family, somebody from inside the community to work against the community. This somebody was the individual. The state and the market during the 19th and 20th century approached people with an offer that couldn’t be refused. They told us become individuals. What does it mean to become individuals? Well, you are free from the power of your parents and community elders. You can marry whoever you want. You don’t have to ask permission from your parents who to marry. You can take up whatever kind of job you want. Even if your community elders don’t like this job, it doesn’t matter you can do whatever you want. You don’t have to ask these community elders. You can live anywhere you want. You don’t like your village, fine. Leave your village. Go to the city in the other side of the country. It’s okay. If you can’t come every week to the family dinner, it doesn’t matter. You are no longer dependent on your family and on your community. So who will take care of you? We, will take care of you, we, the state and the market. We will take care of everything you need, which was previously taken care of by the family in the community. We will provide you with jobs. We will provide you with education. We will establish a health system, a welfare system, employment system which will provide everything you need. We will even provide you with pensions and insurance, so you are not dependent on your family and community. It is very common, especially in romantic literature to present the individual as somebody who is all the time struggling against the state and the market, but this is completely wrong. This is just the opposite of what really happened. The state and the market are actually the mother and father of the individual and the individual cannot survive, and couldn’t have appeared without the help of the state and the market. The market, today, is the one that provides us individuals with work, with insurance, with a pension. If you want to study a profession, you don’t have to count on your family anymore, the schools maintained by the government will teach you or the colleges maintained by the market. If you want to open a business, you will no longer dependent on your family, the bank will loan you money. If you want to build a house, you don’t have to ask your cousins to come and help build it, you go to a construction company and it builds it for you. If you don’t have money to pay the construction company then the bank gives you a loan or the government gives you mortgage. If violence flairs up around you, then you don’t have to run to your uncle or your father or the community elders to protect you, you go to the police, even if you are threatened by your family. If you’re sick, you’re no longer dependent on your family and community. There is a state health system, and there are hospitals and clinics run by the market to take care of you. If you need treatment around the clock, go to the market and you hire a nurse, usually some stranger from the other side of the world, he or she will take care of you in ways that few people expect even from their own children. Similarly, the tax authorities no longer tax entire communities, they treat us as individuals. Nobody is expected his neighbours’ tax. The law enforcement system treats us now as individuals. You are not punished for the crimes committed by your cousin, you’re only punished for your own crime, you are an individual. Not only adult men, but also women and children have been increasingly recognized by the state and the market as individuals. For most of history, women were seen as the property of the family of the community. In contrast, modern states and markets increasingly see women as individuals who have independent legal and independent economic rights. Women may now hold their own bank accounts, decide who to marry and even choose to divorce their husbands and live on their own, which was unthinkable in many societies until a very short time ago. The liberation of the individual from the control of family and community also, made everyone far more vulnerable to the intervention of the state and of the market. We today are far less constrained by what our father or village elder tells us to do. But we are far more exposed than ever before to the power of the government and of the big business people of the big corporations. In traditional societies, the state and the market had difficulty telling people what to do, because the family and the community shielded people from these interventions. Now in the modern age, the state and the market can intervene in our lives to a far greater extent because of the weakening of the family and the community. So was it worth it? Are people today better off, or worse off than what they were before these changes? It’s very hard to answer no matter what you think about this process, and different people think very different things. What everybody can agree is that it is amazing how fast this transformation happened. For millions of years, humans have been living as members of intimate communities and families. For the last few thousand years cities, kingdoms and empires grew. They were still composed of families and communities. Now, within a mere two centuries from about 1800 onwards we have become alienated individuals living within these states and markets. Families are still important, they did not completely disappear. When states and markets took away most of a family’s economic and political roles, they left them with some important emotional functions. The modern family is still supposed to provide for our intimate, romantic and sexual needs which the state and the markets are still not capable of providing. Yet even here, the family is subject to increasing interventions. The market shapes to an ever greater degree, the way that people conduct their romantic relationships and their sexual lives. Whereas traditionally the family was the main matchmaker today it’s the market that shapes our romantic and sexual preferences, and then helps us to fulfil these sexual and romantic fantasies. Previously the bride and the groom would meet in the living room of one of the families and the parents would discuss the possibility of marriage. Money would pass from the hands, usually of one father into the hands of another father and this was how the deal was made. 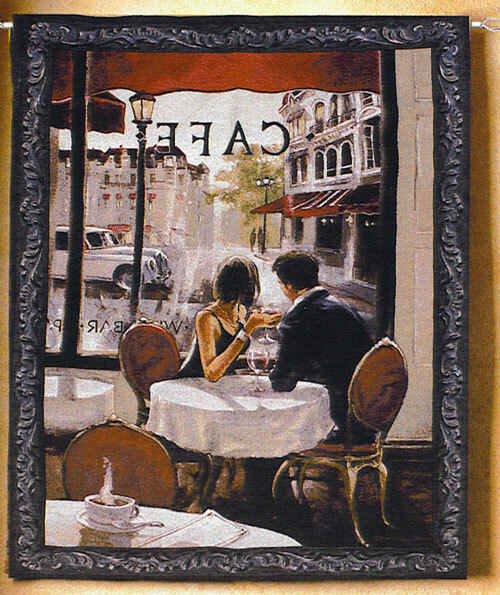 Today looking for a mate is done in cafes, bars and on the Internet provided by the market. Money passes from the hands of the couple into the hands of the waitresses in the cafe. Even more money is transferred to the bank accounts of fashion designers, gym managers, dieticians, cosmeticians, plastic surgeons, and so forth, who help us to arrive at our date looking as similar as possible to the ideal of beauty that the market implanted. whoever they wanted to. The parents could take their 12 year old daughter, and marry her off to some 50 year old man whom she never met before because he gave the parents money or sheep, or goats. This was very acceptable. Today the authority of the parents is diminishing rapidly. The state passed laws that greatly diminished what parents can do with their children. Popular culture similarly sanctifies the freedom of children from their parents in TV shows and movies and so forth. Freedom of children from the dictate of parents becomes a main principle. Whereas, in traditional China, obedience to your parents was the number one values. In the modern west and increasingly in other parts of the world, it has become customary to view parents as the servants of their children. No matter what parents do for their children, it is never enough. In modern western psychology, it’s customary to blame the parents for anything that goes wrong in the life of their children. In the Freudian court room, when you go to psychologists to discuss your life, the parents have as much chance of being acquitted from guilt as defendants in a Stalinist show trial; they have no chance at all. Ancient communities did not completely disappear either. Humans evolved for millions and millions of years as communal creatures that need to feel part of some tribe. The community in the modern world could not just disappear completely without something replacing it. People need to feel that they are part of some group, of some tribe. In many parts of the world the intimate communities vanished and were replaced, not by new kinds of intimate communities but by national and market communities, the communities of the state and the market. Now what is exactly is an intimate community? In this context it doesn’t mean communities like your friends on Facebook. It is a group of people who you know very, very well. You have known them for years. You’ve observed them in all kinds of situations. You know the character and most importantly, your daily life, your very survival depends on them. These are your tribe members. You may not like them. One of the characteristics is that you can’t just wake up in the morning and go away and break your ties with your communities. This is very different for most of the things that we today speak about when we use the term community. Such kinds of communities are becoming rarer. You have many communities on the Internet but you can survive without them. The identity of people today is based more and more with identification with the state, the state becomes the community, or with identification with their position in the market, the market becomes their community. The identification with the state is called Nationalism. People in the modern world identify themselves less as belonging to a particular family or a particular community, a village or a tribe or something, say 100 people that they know. Instead, they identify more with their state and nation. An Israeli will say he is an Israeli, even though he never met 99% of other Israelis. They are imagined to be part of the same community. Even more remarkable is our growing identification with the market. People around the world increasingly build their identity as consumers, as belonging to particular consumer tribes. This sounds very strange, but we are surrounded by examples of such consumer tribes. For example the fans of movie stars and singers like Madonna. Madonna fans constitute a consumer tribe. They define themselves largely by what they buy and what they consume. They buy tickets to the concerts of Madonna. They buy CD’s, they buy posters, they buy shirts, they buy ringtones and thereby they defined who they are by what they buy and what they consume. Similarly, Manchester United fans are also a consumer tribe. Vegetarians at least many vegetarians are a consumer tribe. They define themselves by what they buy and eat or not buy and not eat. Environmentalists, who are very careful about what they buy, and what they consume, are also a consumer tribe. They’re defined by what they consume. It is, is very important for people, this market identity. A German vegetarian might well prefer to marry a French vegetarian and not a German carnivore because her identity as a vegetarian, somebody who does not buy and consume meat products, is more important than her national identity. The revolutions of the last two centuries, particularly the decline of the family and the community, and the rise of the state and the market have been very swift and very radical. They have been so swift, and so radical, that they managed to change the most fundamental aspect of the social order. Traditionally, the social order, no matter what it looked like, was hard and rigid. Order implied stability and continuity. Swift social revolutions were very rare and exceptional. Most transformations in human society resulted from the accumulation of numerous small steps over decades and centuries. Humans therefore tended to assume, that the social structure was inflexible and eternal. Families and communities might struggle to change their place within the order, but the idea that you could melt the structure of the order itself sounded impossible. People tended to reconcile themselves to the status quo, to the way things are, by declaring, that, okay, we may not like the social order, but this is how it always was, and this is how it always will be. Over the last two centuries, the pace of social change became so rapid, that the character of the social order changed, and came to be something which is constantly changing, something very flexible, something very dynamic. When we speak about modern revolutions, we tend to think about particular years, as being revolutionary, say, 1789, the French revolution, 1848, the Liberal revolutions, or 1917, the Russian communist revolution. But in the last century or two, every year is revolutionary; society keeps changing all the time. This is why any attempt to define the characteristics of modern society is like trying to define the colour of a chameleon. The only characteristic, of which we can be certain, is the constant change. People have become accustomed to it. Most of us today think about society and social order, as something flexible, something which we can engineer and improve from all sides. People say we should change this, we should change that, or other people worry about changes which maybe bad, but everybody accepts it as fact, that society changes all the time. Nobody today imagines, that in 2050, the world, human society, will be the same as today, everybody expects that the world will be very different. The big arguments are about how it should be and whether the coming changes will be good or bad. But it’s obvious to almost everybody, that the world in 40 years, even 20 years, will be very different, from today. At the same time that the human order has become so volatile, it is also becoming more peaceful, than ever before. We could expect that the more changes and revolutions that occur in the world and in society, the more violence there would. But in fact, at least in the last few decades, as the pace of change increased, the world simultaneously became more and more peaceful, than ever before. The levels of violence are lower than in any previous time in history, at least from the agricultural revolution onwards, and by a very wide margin. First of all, the collapse of the family and community, and the rise of the state, caused a decrease in internal levels of violence. This may sound incredible to you, because the news is always full of reports about crimes and murders and so forth, not to mention wars. There is indeed a lot of violence in the world today. What Dr Harari argues is not that there is no violence at all, but there is less violence than ever before. These are two very different things. If you want to appreciate the level of violence in the world, as a whole over time, then reading newspaper stories about a particular murder case, is not helpful. What we need to find out, is whether on average, when we take hundreds of millions of people together, whether on average, there are today, more cases of murder, than there were, 100, or 1000, or 10,000 years ago. We need to look at statistics, not at individual cases. One very interesting statistic concerns the percentage of violent deaths, from the sum total of death cases in the world. In the year 2000, wars caused a total of 310,000 deaths. Violent crime killed another 520,000. So all together in the year 2000, 830,000 people died from human violence, this sounds a lot of people. Each of these victims, is a world destroyed, a family ruined, friends and relatives harmed, scarred for life. Yet, we have to look at these numbers, from a macro perspective of the whole world and of hundreds of years. From this macro-perspective we see that the 830,000 victims of violence in, in the year 2000, comprised just 1.5% of death, in that year. In that year a total of 56 million people died around the world from all causes together. 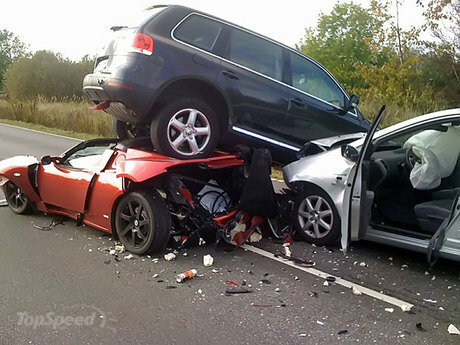 To put things in perspective and note that in the year 2000, about 1,260,000 people died from car accidents, much more than from violence, and 815,000 people committed suicide. The figures for the year 2002 are even more surprising. In 2002, a total of 57 million people died that year. Only 172,000 people died in war, and 569,000 people died from violent crime. So, a total of 741,000 people died from human violence, in 2002. In contrast, 873,000 people committed suicide, killed themselves. It turns out, that in the year after the 9/11 attacks, despite all the talk about terrorism and war and so forth, the average person was more likely to kill himself, than to be killed by a terrorist or a soldier or a drug dealer or some other criminal. In most parts of the world, people today enjoy a level of security from human violence that our ancestors could hardly imagine or dream about. In most parts of the world, (not all) people go to sleep at night without fear that in the middle of the night a neighbouring tribe or village will surround their village and slaughter everybody or kidnap them, and sell them to slavery. We travel from place to place with far less fear, of being killed or kidnapped, or pirates, or whatever. This, this course is being filmed in Tel Aviv. Dr Harari doesn’t live in Tel Aviv but in a small village near New Jerusalem. When he films this course, he has to travel 40 minutes by car to Tel Aviv. He may fear a car accident but not that in the middle of the road from Jerusalem to Tel Aviv, some slave gang will stop the car and kidnap him and sell him to slavery, or murder him. 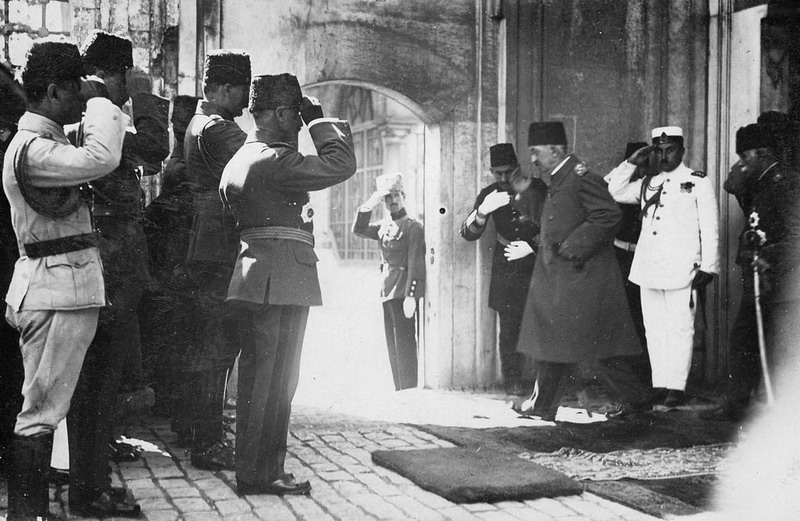 100 years ago, or 500 years ago, in the same place, under the rule of the Ottoman Empire, this was a constant fear of people. When somebody left Jerusalem and travelled to the port of Jaffa, he or she knew that, it was not unlikely that on the way, they would be robbed, murdered or kidnapped, and sold into slavery. Today in most parts of the world people are not concerned about such possibilities, because it’s very unlikely for such a thing to happen. The decline in violence, the rising level of security, is due above all, to the rise of the power of the state. Throughout history, most violence resulted from local feuds, local conflicts, between families and communities. Most of the violence was very local. Even today, local crime is far deadlier than international wars. As we saw in the above statistics, in the year 2002 for example, 172,000 people died in international wars, between states but 569,000 people died from violent crime within small communities and families When states did not exist at all, and societies were organized and controlled only by families and communities, violence levels were much higher than they are today. One popular measurement for the levels of violence, asks the following question. For a given population of 100,000 people, how many of them, will be murdered in one year by another person? Today in places like Western Europe, Australia, and Japan, for every 100,000 Australians or Japanese, only one is killed in a given year by another human. In New York, the rate is about seven people murdered each year, for every 100,000 New Yorkers. In Detroit, the murder capital of the United States, about 50 people are murdered each year for every 100,000 people. This is considered a lot, this is considered so violent and unacceptable. In contrast, in ancient societies of simple farmers, who had no political organization larger than the local community, about 400 individuals were violently killed each year for every 100,000 people. That’s eight times more than in Detroit. As kingdoms and empires became stronger, they gradually restrained local violence. The king and emperors didn’t like it, when some local criminal killed their subjects, who were supposed to pay taxes to them and to serve in their army, and so forth. When the states and the markets became even more powerful in the modern age, and the local communities and the families became weak, then violence rates dropped even more. Today the average for the entire world is only nine murders a year for every 100,000 people and most of these murders take place in places where the state is very weak such as Somalia and Afghanistan and parts of Colombia and Mexico. Strong states are not always good. Strong states can also do bad things and there are quite a few cases, in which states use their power to kill their own citizens. These cases loom large in our memories, and in our fears. During the 20th Century, tens of millions, if not hundreds of millions of people, were killed by the security forces of their own State. Still, if we take a macro-perspective, if we look at things from the perspective of statistics about billions and hundreds of years, it is still quite obvious, that the courts and the police forces of the state, probably increased the level of security, and decreased the level of violence, despite these notorious occasions when they are used to kill and to oppress, the citizens of the state themselves. This is about the drop in internal violence, in violence within states. The cases when the state used its power to restrain the violence inside its boarders. What about violence between states? Even if we accept, that the power of the state creates more security within the borders of the state, aren’t we paying for this security, by having much more violence between states, international wars? The answer, surprisingly, is no. At least, since 1945, international violence has dropped even more quickly than internal violence. Today, international violence is at an all-time low. There was never a period in history, when the international community was as peaceful as it is today. The decline in international violence manifested itself above all, in two fundamental developments. First of all, the relatively quick and peaceful collapse of the European empires, and secondly, the fact that the independent countries that replaced the European Empires, fight very few major wars between them. Let’s look first, at the collapse of the European empires. 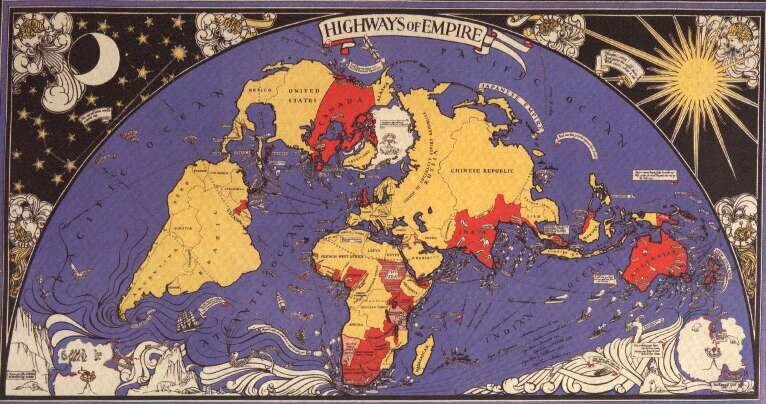 In 1945, the world was ruled by the empires of a few European nations, most notably, Britain, France and Russia. Within a few decades however, these empires collapsed and were replaced, by independent states. This of course, is not the first time in history that empires collapsed. But what is unique about the collapse of the European empires, is that it was very fast, and it was relatively peaceful and orderly. The collapse of the European empires was in fact, the greatest transfer of power in history. Never before, has so much power been transferred, from the hands of one group of people, to the hands of another group of people, so quickly. If you go back to 1945, you find, that a very small group of people in, again certainly in London and Paris and Moscow and several other European capitals, control almost the whole world. People in London, controlled Nigeria, Kenya and India and what is today, Bangladesh and Pakistan and Malaysia, and so forth. People in Paris controlled what are today, the independent countries of Senegal and Vietnam and Cambodia and so forth. Within a few decades these people in London, Paris, Amsterdam and Moscow, transferred most of their powers to the hands of new independent elites and governments, in New Delhi in Lagos in Ho Chi Minh City and so forth, that now rule these places. This transfer of power, it wasn’t only on a very massive scale, and done very quickly, just a few decades, it was done, in most cases, in a relatively ordered and peaceful way. Throughout history, empires did not want to give up their powers. When there was an objection to their powers, when there was rebellion, the empire usually, used all its power, to crush the rebellion with an iron fist. Even when the empires became too weak to survive, still, they did not want to give up their power willingly, and they used whatever power, whatever force remained to them, to try and hang on to their power, for a few more years, before collapsing. When the Empire finally collapsed, what replaced it were most times, bloody chaos, when forces struggled for the inheritance of the Empire. For example, when the Roman Empire became weaker and weaker, in the fifth century, the Romans did not willingly say, okay now we are weak, so we’ll give up our empire. They tried to hang on to power, till the last minute. When the Roman Empire finally collapsed, what replaced it, was a terrible and bloody struggle for control of the territories that once belonged to the empires, when all kinds of peoples, Franks and Goths and Hans and Visigoths, and Vandals and so forth, fought one another ferociously, for the Roman inheritance. This was the usual thing that happened, whenever a big empire collapsed. Since 1945, most empires, when they felt, that they were becoming too weak to survive, they decided to give up their power relatively peacefully and orderly. The process of imperial collapse became, not totally, but relatively, calm and orderly. 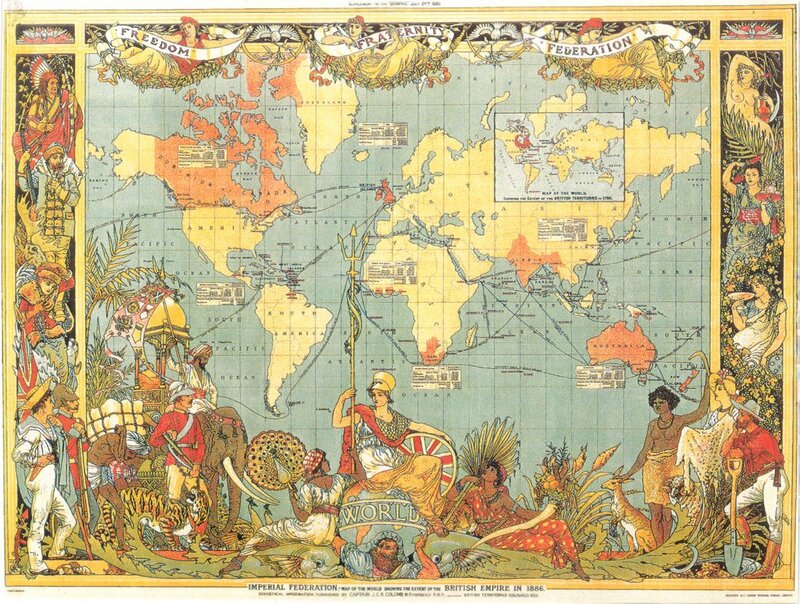 The British Empire is a good example. In 1945, Britain controlled maybe a quarter of the world and a quarter of the people of the world. There are places, where the British tried to hang on to power using their armed forces, and there were places, that when the British left, a lot of violence erupted, for example, in Palestine, or Cyprus, or India. 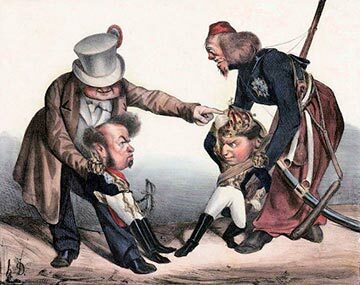 But in most cases, the British Empire left, not because of rebellion, that it could not subdue, but because the rulers of the empire, reached the conclusion, they were too weak, to go on like this. They deliberately and willingly transferred the power to some new local elite and in most cases the British flag was taken down and new flag of the independent country was hoisted in its place. A new country appeared, without a bloody war, without killing millions of people, and with the borders and identity of the new independent country, relatively secure. It didn’t happen like this in all cases, but in most cases. There was still a lot of violence, when the British empire collapsed, but compared to the historical average, compared to what usually happened, when big empires collapsed in history, the British withdrawal was an exemplar of peacefulness and orderliness. An even more remarkable example is the collapse of the Soviet Russian Empire, in the late 1980s and early 1990s. Despite the eruption of various local conflicts in the Balkans, in the Caucasus, and Central Asia, it is safe to say that never before in history has such a mighty empire disappeared so quickly, within just two years, so quietly, and in such an orderly manner. The Soviet Empire in 1989 did not suffer from any military defeat, except for the defeat in Afghanistan, which was a minor affair and not something that could cause such a big empire to collapse. The decline of the Soviet Russian Empire wasn’t like that of the Roman Empire that collapsed because hordes of Germans and Huns and barbarians, invaded it. Nobody invaded the Soviet Empire in 1989. Similarly, there was no serious rebellion against the Soviet Empire. There was not even a campaign of civil disobedience like what Mahatma Ghandi did in India to the British. Nobody was doing it to the Soviets, except, one exception, the Solidarity movement in Poland. The Solidarity movement led by Lech Wałęsa lead a campaign of civil disobedience in Poland, one of the countries that belonged to the Soviet empire. But again, Solidarity, with all due respect, wasn’t what caused the Soviet empire to collapse. The Soviets in 1989, not only did they not have to face an invasion from outside or a rebellion from within, they still controlled the largest and most powerful army in history. They had millions of soldiers, tens of thousands of tanks and airplanes and submarines and ships, and enough nuclear weapons to destroy the whole of humankind, several times over. The red armies, the Soviet army, and the other armies of the Warsaw pact of the communist bloc remained loyal. If the last Soviet ruler, Mikhail Sergeyevich Gorbachev, had given the order, the red army would have done whatever he told them to do! 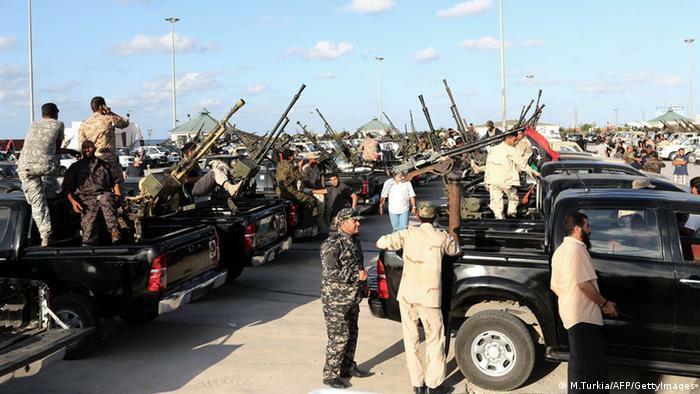 Even to open fire on civilians, on rebels, on all kinds of demonstrators. So, there was no problem for the Soviet elite, like was the case of the Romans, that they were defeated in the field, and didn’t have enough military might to hang on. What happened was that the Soviet elite and the communist regimes throughout most of Eastern Europe, with the exception of Romania and Serbia, chose to dismantle the Empire, willingly and peacefully. 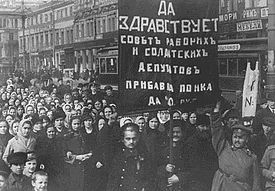 They chose, when they saw that communism doesn’t work, instead of using military power, to try to keep the system running and to subjugate anybody who tried to oppose them, they reached the conclusion, that the system wasn’t working properly, and they decided willingly and peacefully, to renounce power. Never before had so much power been renounced by so few people. Many people like to blame the Soviet leadership for many things, but we should give them this credit at least, that they had the integrity, they had the moral sense, they had the ethical responsibility to dismantle their empire peacefully. Never in history before, had so much power been given up so quickly, by so few people. The ultimate Nobel Peace Prize, Dr Harari at least would nominate Gorbachev and the Soviet elite for this ultimate Nobel Peace Prize, for willingly giving up so much power, without causing too much trouble about it. 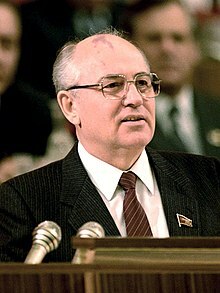 What is even more remarkable, or equally remarkable, is that, Gorbachev and his colleagues gave up in 1989, not only the Soviet empire, a relatively new empire, that was set up by Stalin after World War II. They also renounced the much older Russian empire, which was set up by the Czars in previous centuries. 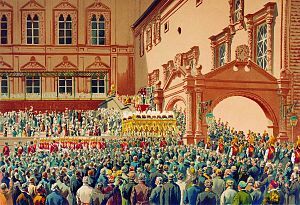 At the same time that the Soviet leadership gave up control of the countries in Eastern Europe, it also allowed the Russian Empire to collapse, to fragment territories which the Tsars had conquered a century, two centuries, three centuries previously, like the Ukraine, Lithuania and Estonia, the Kolkhozes, central Asia, Kazakhstan and Uzbekistan. 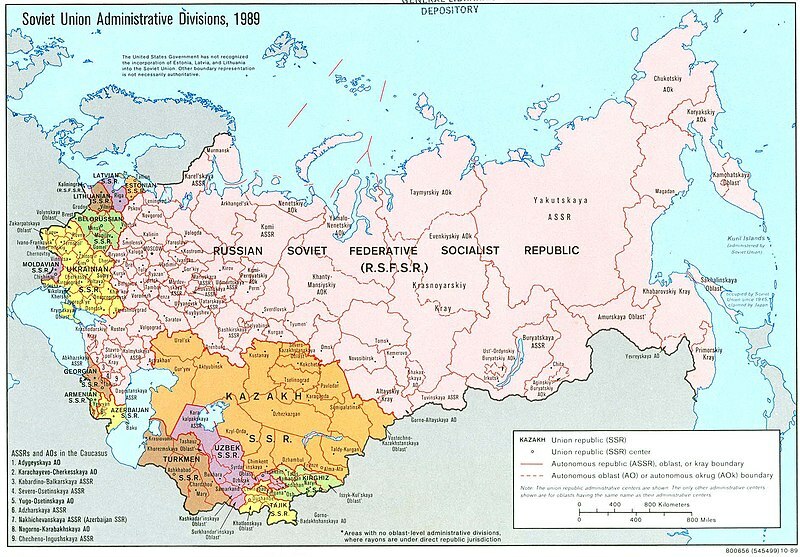 These areas, conquered by the Czars in the 18th and 19th century the Soviet leadership, when it dismantled the Soviet empire, at the same time, it allowed all these places to gain their independence from Moscow, from the Russian empire. The collapsing empires of the British, French, Russian and the other European powers went mostly peacefully. They were replaced, not by chaos, but by dozens of independent states. When the French and British left Africa and Asia, dozens of new independent states occupied, what was previously the British and French empire. Similarly when the Soviet empire collapsed, which could have created numerous new opportunities for border wars between new states, but most of the new states of the world, most states in the world in general, have been remarkably peaceful, remarkably uninterested in war over the last few decades. Since 1945, states no longer invade other states in order to conquer and swallow them up. Such conquests had been the bread and butter of political history since time immemorial. This is how most great empires were established and how most rulers and populations expected things to stay. Everybody took it for granted the king of another kingdom might invade them, defeat the army, conquer the territory, enslave them and annex them to his kingdom or empire. This doesn’t happen anymore in most parts of the world. Campaigns of conquests like those of the Romans, or Assyrians, or Mongols or Ottomans cannot take place today anywhere in the world. Since 1945, no independent country recognized by the United Nations has been conquered and wiped off the map by, by some other country. It never happened, not even once. More limited international wars still occur from time to time and millions still die in wars today, but, even such limited wars are no longer the norm. They happen in several places and in some periods, but they are no longer the norm that characterizes all of the regions of the world. When we think about an area which is peaceful we say okay, Europe with all the democracies and all the rich countries it is peaceful. But this peacefulness characterizes many other parts of the world as well, for example, South America. Often when people think about politics in South America, they don’t think about it as, as being very peaceful. They have images of juntas, military generals who make coups, revolutions and violently take control of the country. This may be true about internal politics, but a surprising fact is that South America, during the 20th century, during the more than the last hundred years, has been an amazingly peaceful place, as far as international wars are considered. The last serious war between South American countries was the Peru-Ecuador War of 1941. Before that there was the Bolivia-Paraguay War of 1932 to 1933. Before that, the previous serious war was in 1884, between Chile on one side and Bolivia and Peru on the other. This means that in 130 years we’ve seen the end of this war between Chile and Bolivia and Peru in 1884. The only two serious international wars since then were both in the late 1930s, early 1940s. There was another famous war in South America, the Falklands War, in 1982, which involved a country from outside South America, Britain. Even if we take the Falklands War into account, only three wars in 130 years in an area as big as South America, this is an amazing achievement. Similarly, we seldom think about the Arab world as a particularly peaceful zone in the world. But since the Arab countries won their independence from the European empires there has been only one occasion in which one Arab country has invaded the territory of another in an attempt to conquer it. 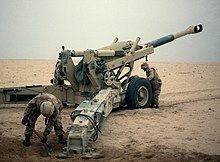 This was the Iraqi invasion of Kuwait in 1990. There have been quite a few border clashes between Arab countries, for instance Syria and Jordan in 1970. There have been many armed interventions of one Arab country in the affairs of another. For instance, the Syrians intervened in Lebanon for many years. And there have been many civil wars and revolts and revolutions in Arab countries. However, there have been no full scale international wars between Arab states except for the Iraqi invasion of Kuwait in 1990. This is amazing compared to how politics in most of the world looked in most of history until the last few decades. Even if we widen our scope and look not just at the Arab world but the entire Muslim world, countries like Iran, Turkey, Indonesia and Pakistan. In the entire Muslim world over the last few decades, there was only one case of serious major international war between two Muslim states; this was the Iran Iraq war in the 1980s, that’s all. Apart from the invasion of Kuwait by Iraq and the Iraq Iran war these are the only two examples of one Muslim country trying to conquer another. There has been no major war between say, Turkey and Iran, or between Indonesia and Malaysia, or between Pakistan and Afghanistan. There have been many civil wars, many revolutions, a lot of internal violence, but at the level of international politics, international war, the Muslim world of the last few decades is remarkably peaceful. In Africa things are less rosy. But even in Africa the vast majority of conflicts are civil wars and revolutions and rebellions. Since African states won independence from the European empires in the 1960s and 70s, very few have invaded a neighbouring country in the hope of conquering it, or conquering a significant part of it. Surprisingly, when people hear all this wonderful news, of the relative peace in the world, instead of reacting with joy and happiness, many react with disbelief and even anger. One common argument that many people make is that okay, maybe there is a period of relative peace in the world in the last few decades, but there have been such periods before. For example, in Europe between 1871 and 1914, there was a period of relative peace, few international wars and it ended very badly. It ended with the First World War. All previous periods of peace in history ended in wars. People say that maybe we have now a few decades of peace, but the next big war, World War Three, is waiting for us just around the corner. Dr Harari stressed that we cannot tell what will happen in the future, nobody can guarantee that World War Three will not erupt in 2020 or 2040. But the peace that the world is experiencing today is very different from the peace of all the peaceful periods previously in history because the word “peace” has two distinct and very different meanings. The first is simply the absence of war. If there is no war between two states, we say that they are at peace. This was the kind of peace that existed in previous periods of history. For example in Europe, between 1871 and 1914, we say that there was peace, because there was no war. War was absent, so there was peace. This kind of peace is very fragile. An iron law of international politics throughout history decreed that for every two nearby polities that are at present at peace, there is a plausible scenario that will cause them to go to war within one year. This law was enforced throughout history. In late 19th century Europe, if Germany and France in 1899 were at peace, there was a plausible scenario for a war between Germany and France in 1900. Similar in the Middle Ages if in 1300, England and France were at peace, then there was a likely scenario that within one year they would be at war. This was true for ancient China, and ancient Greece, and ancient Mesopotamia and for all other periods of history. If Sparta and Athens were at peace in 450 B.C. there was a plausible scenario that they would be at war by 449 B.C. Today human kind for the first time in history has broken this law. Today the word “peace” has acquired a new meaning. The new peace does not mean the absence of war it means the implausibility of war, the impossibility of war. Real peace, the kind we have today in the world, is not when there is no war. Real peace is when war is inconceivable, unimaginable, and impossible. Scientists and by scholars call this the new peace, because there has never been such peace in the world before. For most countries in the world today there is no plausible scenario leading to full scale war within one year. What could cause a war in 2014 between France and Germany, or, Japan and China, or between Brazil and Argentina? There is no plausible scenario for such a thing. There could be a minor border clash, say the Brazilian border police fired a few shots at the Argentinian border police because of a misunderstanding, and there is an international incident, but real war with armoured divisions of the Brazilian army sweeping to the gates of Buenos Aires and fleets of Argentinian bombers pulverizing entire neighbourhoods in Rio de Janeiro and Sao Paulo. Such a war is unimaginable in 2014. When say the Brazilian government is meeting to discuss, to plan the budget for the next year, for 2014 the Brazilian defence minister does not get up and say, wait, wait, wait!. We have to put aside a few billion dollars in case, in the next year, we will want to conquer Argentina, or Uruguay, so we need to have this reserve. If he did they would think he’s gone mad. This is the meaning of the new peace, not that war doesn’t happen, but that it’s simply implausible. There are some pairs of countries like Israel and Syria, or Ethiopia and Eritrea that are exceptions. You could imagine a war erupting between Syria and Israel next year. The Israeli defence minister does get up in the budget discussions and says, wait a minute what if there is war with Syria next year. So in this case, that it happens, but in most cases it doesn’t. Some people may say that it is very naive to think that the world is in this new era of peace. We can’t say for sure, what will or will not happen in five years, or ten years or 20 years. But this very naivety is fascinating. This very fact that people and governments and, businesses and companies, run their lives without even imaging the possibility of a serious war. The fact that people can be so naïve is in itself testimony to how peaceful the world has become. Scholars have tried to explain this happy development in many ways. They’ve written many books and articles. The main theories or the main contributing factors to the new era of peace can be summed up. Most importantly the price of war has gone up dramatically. It’s much more costly today to wage serious war than previously, because of the greater damage that war can cause and above all the greater damage that nuclear weapons can cause. The ultimate Nobel Peace Prize, if we thought that Mikhail Gorbachev was a leading contender for it, then the main other contenders are the physicists who invented the atom bomb and nuclear weapons. Nuclear weapons made the price of war so high that it led to countries not engaging in war, especially major wars between superpowers for gaining a hegemonic position in the world. Such major superpower wars with nuclear weapons turn into collective suicide. Nobody can emerge from a major war between superpowers today alive, or at least in a good way. Once the price of war soared, the profits of war declined giving us the second reason for the peacefulness of our era, the decline in the profits of war. For most of history, kings and emperors and sultans could enrich themselves by conquering and looting and annexing enemy territories. Most wealth throughout history was material wealth such as fields, cattle, slaves, gold and so forth. Because it was material wealth, it was relatively easy to conquer and loot and occupy it. You could easily conquer a gold mine, or a wheat field. Today, however, wealth in the world consists more and more of human capital, of knowledge, of complex social economic structures like banks and corporations. These are the sources of wealth today in the world, not fields and gold mines. Consequently it’s very difficult to conquer it and to loot it and to annex it. Consider the State of California. California, even without the rest of the United States, is one of the ten richest states in the world today. The wealth of California was originally built on gold mines. The gold rush of the mid-19th century was when California was transformed from a no man’s land, with hardly any people inhabiting it, and a very little wealth, into a more important economic and a political centre. Today, the gold mines of California play a very peripheral role in the Californian economy. Much more important is Silicon Valley where Google and Facebook and Microsoft and all these companies have headquarters there as well as the film industry of Hollywood. This is the kind of wealth that there is today in California. Try to imagine what would happen if, for example, the Chinese said to themselves, let’s invade California and conquer it and enrich ourselves, and sent an army in a big fleet across the Pacific Ocean ,and land millions of soldiers on the beaches of San Francisco, and Los Angeles and soar inland. Even if the Chinese manage to win, if the Americans don’t drop an atomic bomb over them and the Chinese manage to win, what would they gain? They would gain very little, because you cannot conquer Silicon Valley. You can conquer the valley itself, but you can’t conquer the riches of Silicon Valley, because the riches of Silicon Valley do not come from silicon mines. There are no silicon mines in Silicon Valley. The wealth of Silicon Valley resides in the minds, in the brains of Google engineers, and Facebook engineers, and Microsoft engineers. These people, along with all the actors and directors from Hollywood would have run away from California long before the Chinese conquer it. They would be on the first plane to New York, or Paris, or Bangalore, long before the Chinese tanks reached Silicon Valley or Hollywood. It’s not possible today to enrich yourself easily by conquering a different country. Not all the wealth in the world is knowledge. There are some places where wealth is still old fashioned wealth consisting of mines and oil fields and things like that. These are exactly the places where serious international wars still take place. For example, the Iraqi invasion of Kuwait and the Iraqi invasion of Iran, both occurred in an area where wealth is old fashioned material wealth. The Kuwaiti sheikhs could flee abroad when the Iraqi tanks came, but the oil fields could not. This is why at least Saddam Hussein thought it was worthwhile to conquer Kuwait. The third reason is that peace has become more profitable than ever before. While war is less profitable, peace is more profitable. In traditional agricultural economies, long distance trade and foreign investments were sideshows. They were not important economically. Consequently, peace between different kingdoms brought with it little profits, except for avoiding the cost of war, peace has always had this benefit. If England and France were at peace, the French profited from this because they didn’t have to pay heavy war taxes, and they didn’t have to suffer from destructive English invasions. Otherwise, peace did not have any profits of its own. In the modern capitalist economy, foreign trade and foreign investments have become very important to the economy. Peace has its own unique dividends, its own unique profits. Even not counting the avoiding the cost of war, it’s profitable to be at peace because you can conduct trade and enjoy international investments. As long as China and the United States, for example, are at peace, the Chinese can prosper by trading with the United States, selling Chinese products to the Americans, making investments in Wall Street, and receiving American investments in China. Peace makes you more prosperous. In addition to nuclear weapons and the economic reasons, there is also an important cultural reason for the disappearance of war. Many ancient elites such as Hun chieftains, and Viking noblemen and Aztec priests; viewed war simply as something good, as something positive. There was no wonder there were a lot of wars around. Other elites viewed war as something bad, as evil, but, they saw it as an inevitable evil, as a natural part of the world which we cannot avoid, and therefore, we had better turn it to our own advantage. The late modern era is the first time in history that the world is dominated by a really peaceful elite. Politicians, business people, intellectuals, and artists, who genuinely see war as both evil and avoidable. Most politicians and artists today in the world don’t say war is evil but there is nothing we can do about it. They seriously believe that if we just conduct our affairs more wisely, we can find ways to completely avoid wars and this indeed works, there are less and less wars today in the world. The final explanation for the decline of war is that states are simply losing their independence and therefore they cannot wage wars. Most countries today in the world no longer engage in full scale warfare for the simple reason that they are no longer independent. Even though citizens in countries like Israel, Italy, Thailand, or Mexico, harbour illusions of independence their governments cannot conduct independent economic or foreign policies. They are incapable of initiating and conducting full scale war on their own without the approval of their international community and of the international elites. We are witnessing today, the formation of a new empire, of a global empire. Like previous empires this global empire too, enforces peace within its borders. 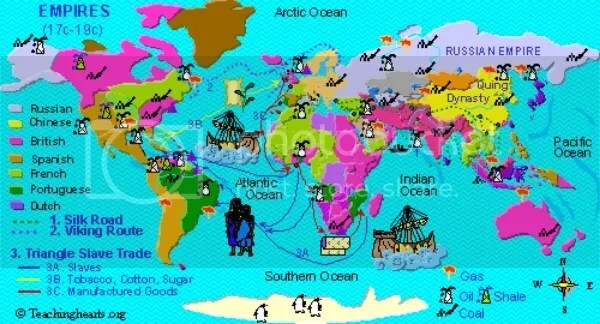 Since the borders of the global empire cover the entire globe then the global empire effectively enforces world peace. These different explanations are not contradictory, they are complimentary. Scholars argue about how important each of them is, but most of them agree that all these explanations have something to contribute to understanding the unique peacefulness of the period in which we are fortunate enough to be alive today. So how can we how can we summarize the characteristic of the modern era. Is it a period of war and slaughter and oppression? as manifested, for example in the World Wars, or is it an era of peace? as became more and more common in the world in the last few decades. The answer is a matter of timing. It is actually very sobering to realize how often our view of the past is distorted by the events of the last few years. If this lesson had been given in 1945 or 1962 at the end of World War Two, or at the height of the Cold War, it would probably have been much glummer. You would probably hear much more about violence in the world. But, since this lesson is given in 2013 and the last few decades have been relatively peaceful our view of modern history is much more cheerful. In order to satisfy both the optimists and the pessimists about what is awaiting us in the next century, we may conclude this lesson by saying that the late modern era is characterized not necessarily by violence or peace, but above all by unprecedented dynamism, we are today on the threshold of both heaven and hell. History has still not made up its mind about our destination, and the string of coincidences might still send us rolling in either direction. Another thing which is left unclear when we look at modern history, is whether despite all the amazing revolutions and inventions of the last few centuries, whether the condition of people improved or not. Whether people today, in 2013, are happier than people were in the 19th century, or in the Middle Ages, or in ancient Egypt. This will be the subject of the next lesson. In the next lesson we will try to answer this question about the happiness and suffering of humankind. We will examine whether we today, with all the new revolutions and inventions and so forth, whether we are indeed happier. Than our ancestors in the Middle Ages, or ancient Egypt, or the hunter gatherers that lived here tens of thousands of years ago. By Louise Taylor in History of Humankind on November 22, 2013 . Thank you again…your notes are a great benefit to me now and in the future. Dr. Harari ‘s lectures are a treasure and your notes are too!